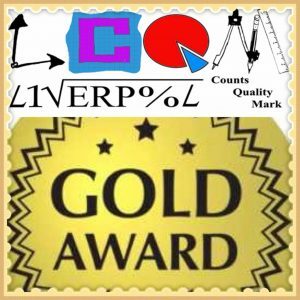 Congratulations to everybody in the St Albert’s community upon receiving the gold award in the Liverpool Counts Quality Mark. Special praise must be reserved for our fantastic Maths Ambassadors whose dedication to their role helped to drive the school forward to this fantastic achievement. * The enthusiastic and dedicated Maths Ambassadors have ensured everyone is talking about maths! Rest assured, we won’t be resting on our laurels and we have many fantastic ideas to continue to build upon the success in maths from this year.